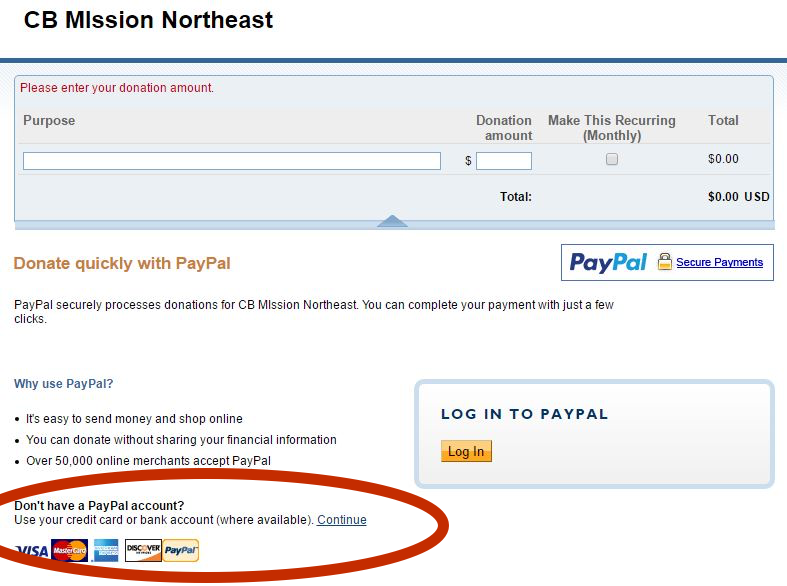 You can give through PayPal or by Credit Card using the PayPal link below. 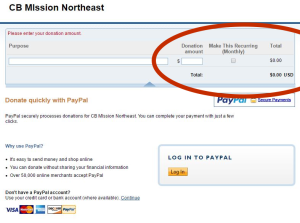 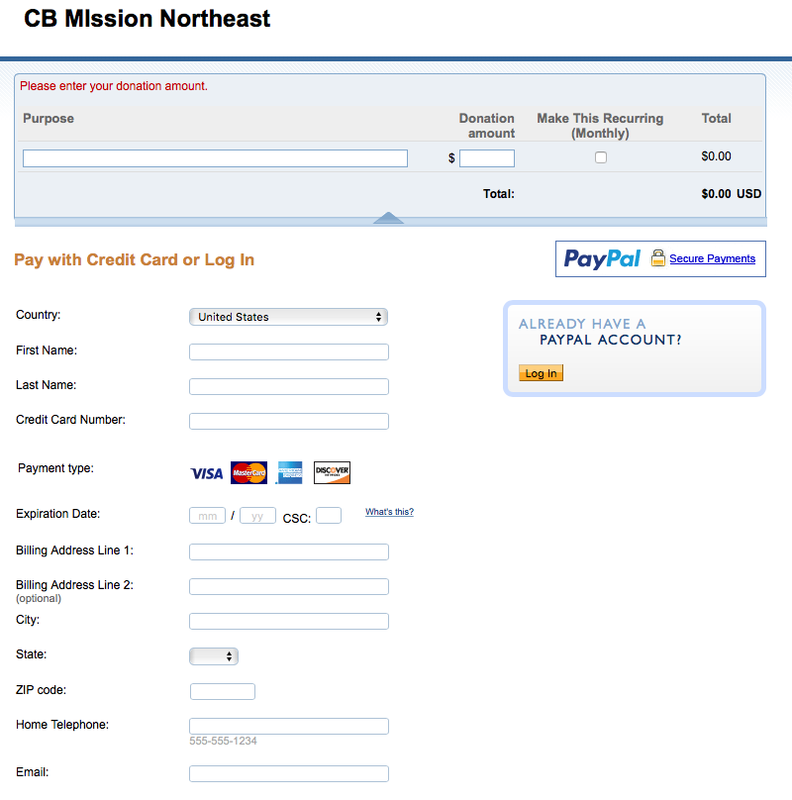 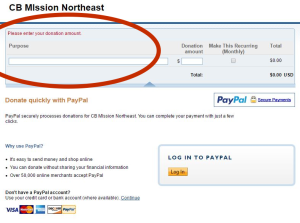 You may designate the purpose of your donation or payment. 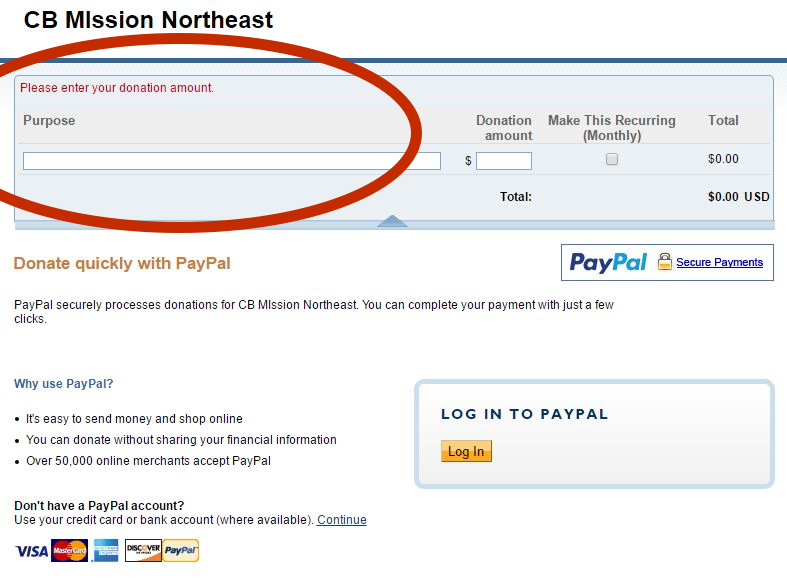 You then will give the amount and if you desire you can make it a recurring donation. 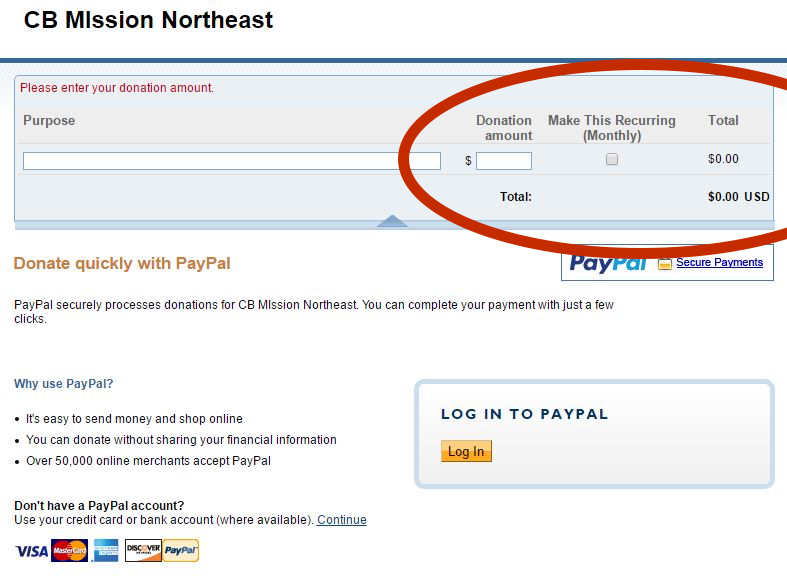 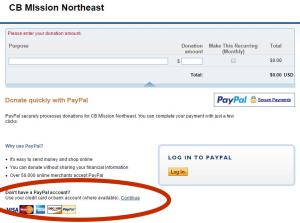 If you want to use your PayPal account to you click on the link “Log in to PayPal” and follow the instructions. 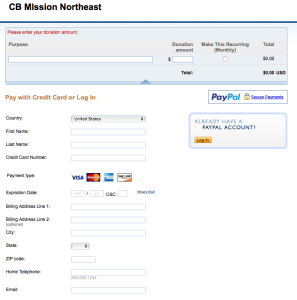 Or if you want to use a credit card click on the word “Continue” in the lower left side of the page, right above the pictures of the Credit Cards.